Check out The Great Brands SALE happening on November 16 to November 18, 2018 at The Studio, Riverbanks Mall in Marikina. 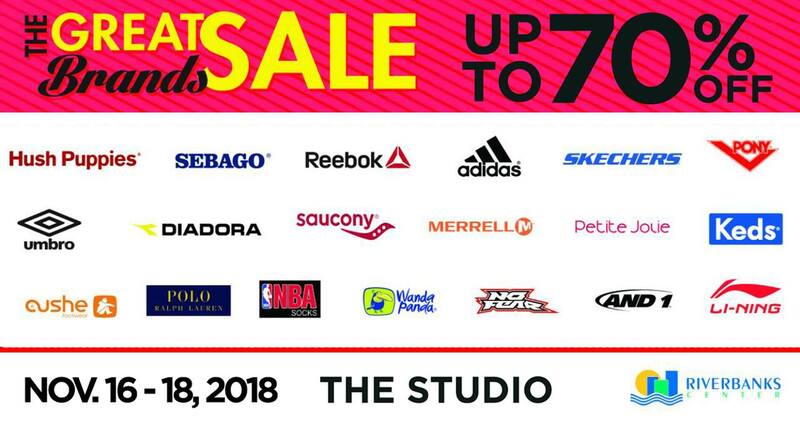 Get up to 70% off on great brands like Hush Puppies, Sebago, Reebok, Adidas, Keds, Skechers, Saucony, Merrell, Diadora, And1, and more! Credit cards are accepted.